Do you know where your fish filet comes from? 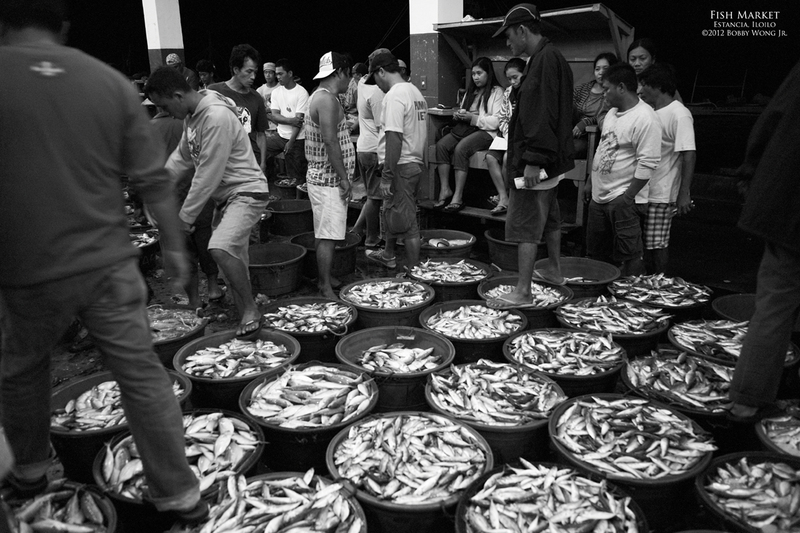 If you live on the island of Panay, they're likely from the Estancia fish port, the largest fish market in Iloilo. We arrived at an unGodly hour only to find the fish market already a beehive of activity. Boats that had been out trawling the night before arrive in droves, unloading their catch among a throng of eager buyers. Bidding is then conducted entirely in whispers, augmented every so often by hand-signals and nods. For a tourist like me, they said a pail of fish would be P6,500.00. But whatever each buyer actually paid, that would have to remain a secret. Enjoy.